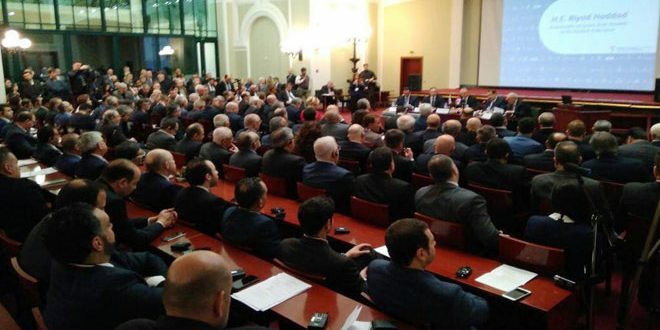 Moscow, SANA – The Syrian-Russian Businessmen Forum launched its activities on Monday as a step to improve the level of joint work through the contribution of Russian private sector companies as well as Russian government institutions to Syria’s reconstruction process. 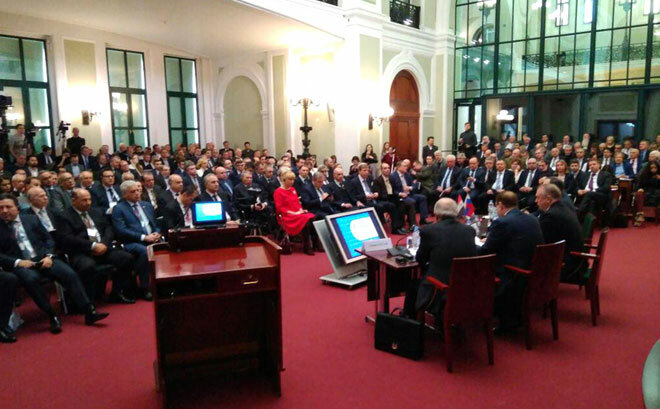 The Forum is held at the Russian Chamber of Commerce and Industry in Moscow with the participation of 281 Russian businessmen and 120 Syrian ones along with representatives of several Syrian governmental bodies concerned in the economic issues. 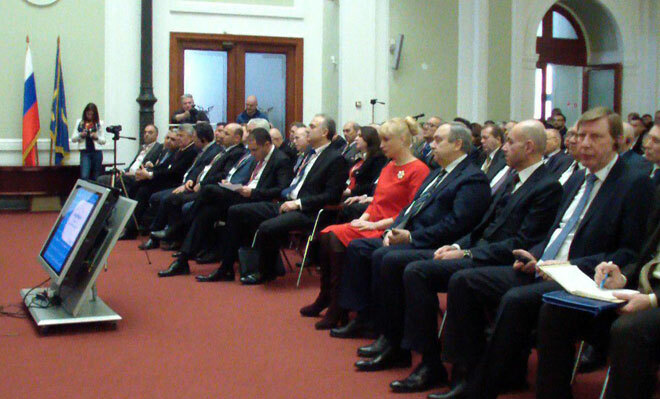 In a speech during the opening of the Forum, Chairman of the Russian Chamber of Commerce and Industry Sergey Katyrin said that the wide representation in the Forum shows a serious interest in economic cooperation with Syria in various domains to rebuild what was destroyed by the terrorist war and revive the Syrian economy to move forward and organize modern economic relations among Syrian and Russian businessmen. 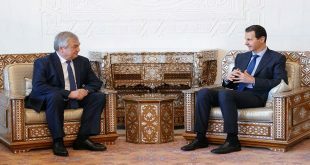 For his part, Syria’s Ambassador in Moscow Dr. Riad Haddad affirmed that the delegation of the Syrian-Russian Businessmen Council brings together representatives of various companies interested in the reconstruction in various sectors affected by terrorism over seven years. He added that the most important characteristic of this Forum is the mutual enthusiasm and keenness of the Russian businessmen to follow up, communicate and ask questions about the current situation in Syria and how they can contribute to the reconstruction phase. 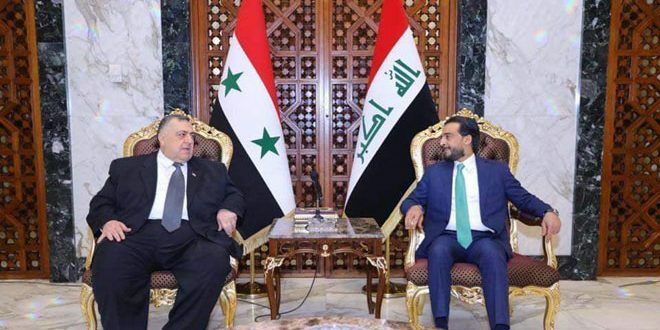 In turn, Head of Syrian-Russian Businessmen Council, Samir Hasan, affirmed the importance of developing and strengthening cooperation with the Russian side and providing all facilitations for Russian companies to invest in Syria. “We were briefed about some of the difficulties in Syria, especially in the field of transport, shipment and storage, as well as in the existence of storage warehouses for food and agriculture materials,” Russian Deputy Minister of Economic Development, Alexei Gruzdev, said in a press conference following the opening session. 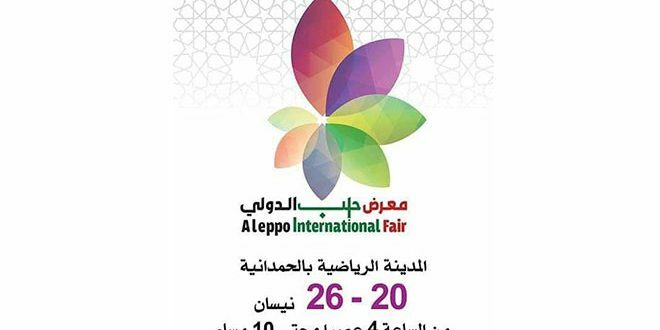 He noted that many Russian businessmen have a background of the private sector’s work in Syria as a result of their visit to Damascus International Fair last year, adding that more Russian businessmen will participate in the Fair in 2018. 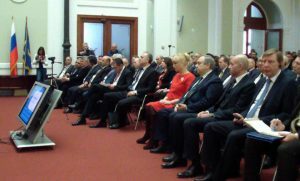 The Forum is organized by the Syrian-Russian Businessmen Council and it is held under the auspices of the Russian Government.